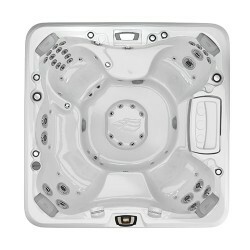 Spas internationally recognized for their superior design. 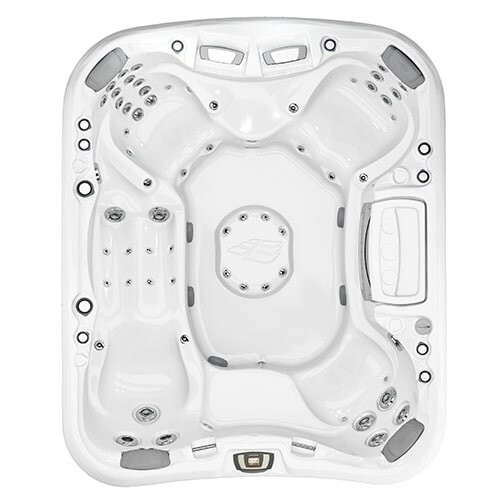 As the largest model with a lounge seat, the Maxxus™ spa has room for up to six adults, offering the perfect blend of sore muscle relief and plenty of space to socialize. This 880™ Series spa has the best of everything, from series-exclusive illuminated grab bars to the most Fluidix™ jet variety. Throughout this model you’ll also find diverse seat options sculpted to harmonize with your body, including a full-body lounge seat, a customer-favorite Accu-Ssage™ Seat and stress and strain fighting Intelli-Jet™ Seat. And, exclusive aromatherapy-releasing air-only jets soothe your skin and your senses while a spacious, stress-melting jetted footwell relaxes your body down to your feet. Found in every 880™ Series model, the deep-immersion Accu-Ssage™ Therapy Seat makes discomfort and strain fade away at your wrists, calves, and along your neck and back. The lounge seat is molded to support to your body while you surrender muscles from your neck to your feet, also pinpointing sensitive nerves and muscles in the wrists and hands. 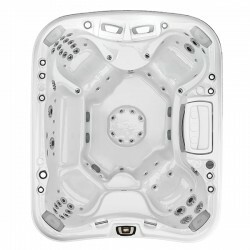 This seat has a knack for banishing stress with tension-relief for your neck, calves and wrists, comforting relaxation for your back, and calming air bubble jets at your hips.